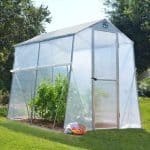 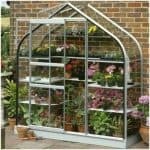 This 8 x 6 greenhouse is a stunning feature, and will truly make the garden an attractive place. 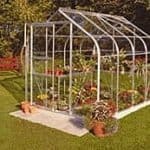 Add to this the fact that the building has plenty of aspects that make it very useful, and you have an obvious choice for the busy but serious gardener. 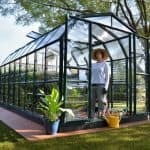 You can choose between horticultural glass and special toughened glass, for example. 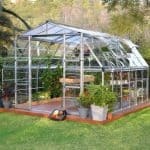 This is a great option; because it means that you are able to adapt the structure to the way you want it. 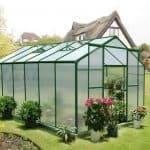 Toughened glass is extra tough and provides great levels of protection. 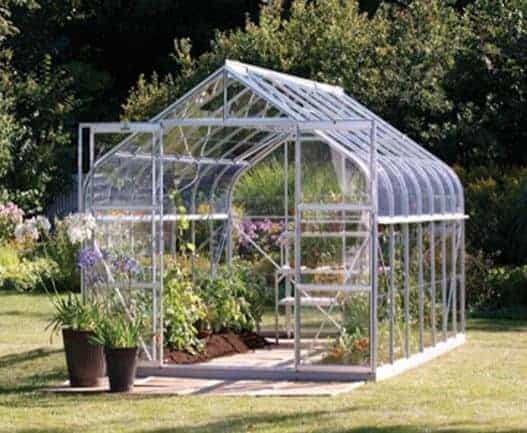 A double sliding door means that you have plenty of access, and a guttering system brings you a facility that takes water away from your plants.